Picture it, Copacabana, Rio DeJaneiro. In 1992 an up and coming 16 yr old handball star had to suddenly give up on her dreams of being part of the National team due to a partial tear in her ACL and relocation issues. Did any of this stop her from pursuing a new dream, ABSOLUTELY NOT. 3X BJJ World Champion, 4th Degree Black Belt, Professor Alessandra “Leka” Vieira has encountered multiple setbacks throughout her 22 year career, but she never stopped. Her drive to compete sent her looking for another sport that would always be challenging, enter BJJ. One day out of the blue, Professor Vieira entered what could be described as “Thunderdome” at her own risk thus beginning her BJJ journey. A predominantly male-oriented sport, she was fighting an uphill battle in extremely hostile environment. Professor Vieira is a well known pioneer for BJJ and that was never her intention. Every training session Professor Vieira attended she had to prove that she was just as serious, if not more so, than her male counterparts. It took some time, but her relentless drive began to yield the results she had been working so hard for. Professor Vieira’s road was rocky, but that never stopped her. The diligent student earned her blue belt in six months (an unprecedented amount of time for a female) from another pioneer Master Aloisio Silva (first BJJ professor to make a female BJJ black belt world champion). After a year of training, she entered her first competition. Just like many competitors starting out she did not come out victorious in her first competition but she definitely won. The 3X PANAMS Champion never repeated the same mistakes after her first loss. In 1998, she reaped the ultimate reward for all she had worked for and received her black belt. In 1999 she became the first female black belt world champion. Professor Vieira was crushing goal after goal all because she never stopped. When she made her way to America, with 200 dollars in her pocket and a dream, even she didn’t realize at the time what lay ahead for her. In 2004 Professor Vieira opened her own school Leka Vieira BJJ out of Torrence, California with classes for women focusing on BJJ and self-defense. Things got off to a slow start. BJJ still wasn’t main stream (especially for women) and the classes were not meeting her expectations. Notably, Professor Vieira extended an invite to a female student from another school to attend her class and the response she received was unusual. I believe the individual compared Professor Vieira’s classes to tea party. Professor Vieira responded by attending the student’s school, staying for a class, and blowing through male and female attendees like a Category 6 hurricane. This had nothing to do with egos, this was like 1992 again and this pioneer was proving that women are just as good as the men. If the women were not backing women then clearly there was a bigger problem facing females in the sport. 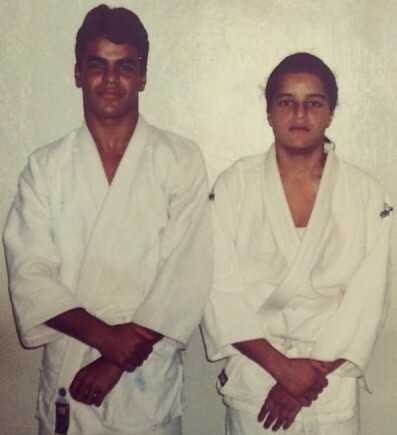 Years later, under Professor Vieira this same student received her black belt. Professor Vieira is absolutely genuine and her mentorship is something up and comers would benefit from. Knowing the art of BJJ is not enough, especially for women. It is imperative that women (whether you compete or not) become immersed in the background of the higher ranking female black belts. It is only a matter of time before a Professor Duarte- Magalhaes or Professor Vieira becomes the first female Grand Master. This may bring about a change for women in BJJ that will ensure the playing field is permanently leveled. 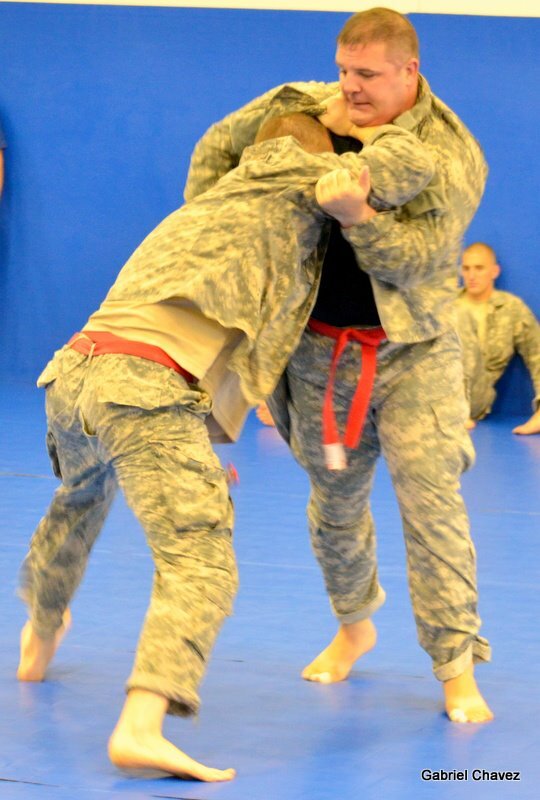 Perhaps part of the promotion process should be about knowing more than passing the guard, sweeps, etc. BJJ is not Professor Vieira’s only passion. Her family is her foundation. Her mom, husband, and two children are the center of her universe. She found the perfect balance between her two true loves and couldn’t wish for anything more. You can’t ask for better out of life. Professor Vieira’s injuries early on continue to plague her and have kept her from competing as consistently as she once did. That still hasn’t stopped her from pursuing goals. Leka Vieira BJJ may have had a slow start but that is no longer the case. Her all women’s classes at Gracie JJ Valencia (located out of Valencia, California) are doing very well. Professor Vieira provides an environment that promotes safety and empowerment. The culture these women are in thrives because her primary focus is ensuring techniques are being executed properly. It is not about speed. 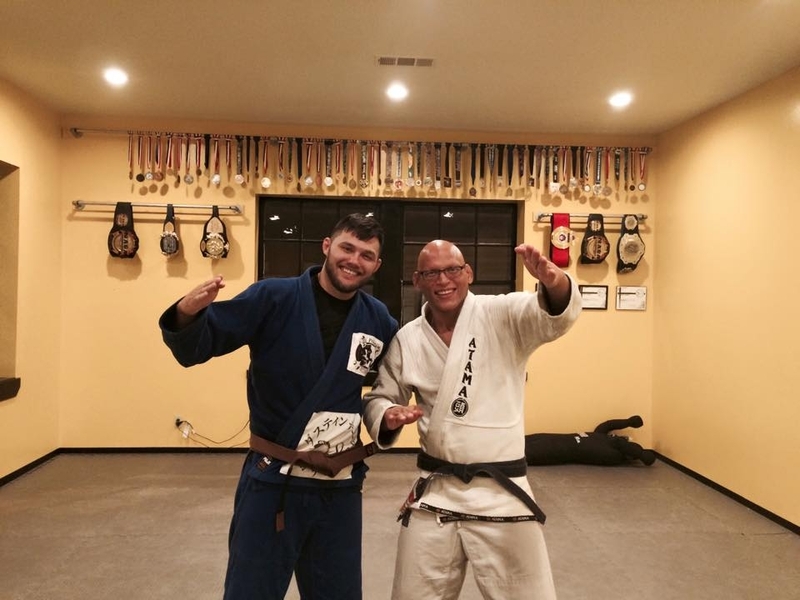 It is about ensuring nobody gets hurt and that proper BJJ and self-defense is being taught. Building the self-esteem of these women helps each one achieve the ideal comfort level. They are not timid and when it is go time, these ladies are like panthers in the Serengeti. They go hard and when time is up….on to the next. Professor Vieira has created an environment where the synergy keeps women coming back. The fun starts the minute she sets foot on the mat. The women push each other in order to progress. 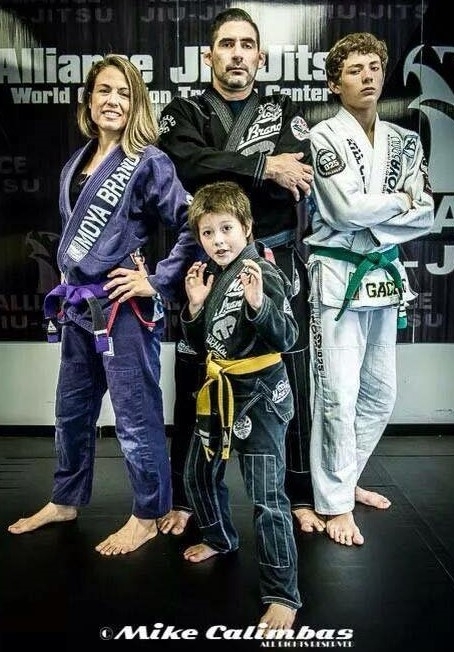 Once again Professor Vieira is a 1st, she is the first female black belt to start an all women’s class and 10 years later it is still going strong. Her contribution to the BJJ community goes above and beyond anything a 16 year old handball player could have ever imagined. Her path changed and because she never stopped, she has brought about significant historical changes to BJJ. Her tenacity will always be at the forefront and that is a great thing for the female BJJ community. We all start from the bottom and having the opportunity to receive mentorship on any level from Professor Vieira would be a blessing. She is always open to provide guidance to women at any stage on the gentle art of BJJ through seminars or camps. Her advice for white belts starting out is to do your research before joining a school, ensure the school is legit, the teacher is a black belt with a lineage that can be authenticated (otherwise there will be safety issues) and never lose faith. You must stick with it. It takes time but eventually you will be the one smashing instead of being smashed. Her thoughts on the blue belt curse are simple. Women reach the next level and are plagued by injuries. There are not enough female counterparts to train with and their male counterparts show no mercy. The other issue with some students can be lack of instruction. If the student is struggling and they are not provided much needed guidance eventually the already isolated student unfortunately walks away from training. Lack of support is probably the main reason students leave a school and female blue belts appear to have that problem more than any other belt level. As far as BJJ has come since Professor Vieira began 22 years ago, she still believes it has a long way to go for women. Her advice across the board is to focus on having a complete game. If you are weak on top, you need to work on the bottom. There is no way around it. If you are asked what is you weak side, your answer should be I have no weak side. If your game is not complete, then your game is lacking. One would think between her family and BJJ, Professor Vieira couldn’t possibly have time for anything else, then came the 25th hour in her day. Professor Vieira is not only an advocate for women defending themselves,’ she is also an ardent advocate for children. Her love for them led her to begin donating to a children’s food bank: http://www.helpthechildren.org/hunger-in-our-world/child-hunger/how-often-do-you-think-about-child-hunger. Professor Vieira is the type of wife a husband is always proud of, the type of mother a child looks up to, the type of teacher one wants to emulate, and the type of woman one aspires to be. 2015 is already bright for those of us that have followed the professor’s career as she has decided that she will return to competition this year. In all this time and with all the setbacks, Professor Vieira never stopped. If she couldn’t train, she was conditioning herself and watching and learning. She never strayed from the path. Winston Churchill sums up Professor Vieira’s whole attitude “If you are going through hell, keep going” she has done it more than once and she won’t stop. Previous PostDaily Rickson Interview Series 11 of 24: Did you struggle with the path that was chosen for you?